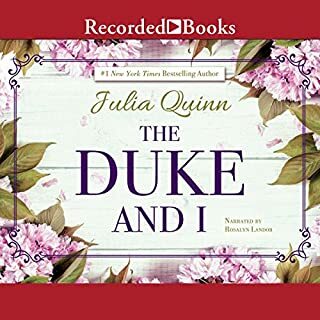 Would you try another book from Julia Quinn and/or Lucy Rayner? 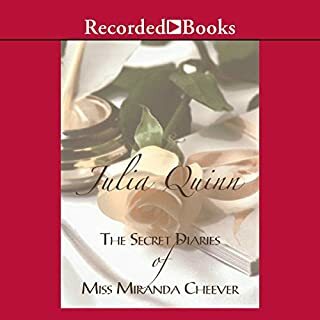 Julia Quinn, certainly. Lucy Rainer, no way. Couldn't listen. I will dig out my print version. Da da da dah. Da da da dah. Add a completely unnatural pattern of intonation with some underlying shrieking, and you've got the fingernails on blackboard performance of Lucy Rayner. Was her producer even listening as she recorded this? The narrator has no ear for narrative. Maybe she can sing. Or mime. Irritation that a book I had looked forward to hearing was destroyed by poor narration. Who hired this woman? 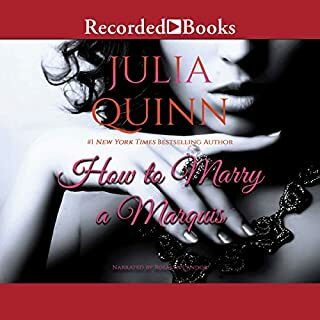 I love Julia Quinn's books, including this one, but I had to stop listening because the narrator was so awful. I'm sorry to say bad things about Ms. Raynor, but OMG, I just couldn't continue. I stopped after wincing through about seven chapters. 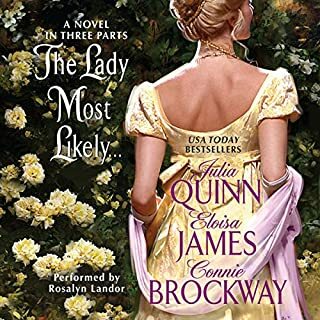 What is so upsetting is that this same narrator has done all three Blydon books (Splendid, Dancing at Midnight, and Minx) all of which I bought before realizing how annoying her voice is. Julia - how could you have chosen her? It appears I wasted three credits. I'm buying the hard copy to read myself as the narrator was terrible. I had a very hard time finishing this book mainly because of the narration. I was also disappointed in the dialog. I have enjoyed all of Julie Quins other books but this one is disappointing. I bought all 3 in the series but I don't think I can listen to the other 2 because of the narrator. 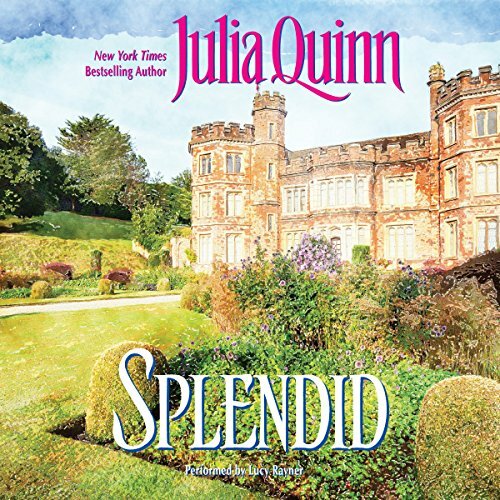 Has Splendid turned you off from other books in this genre? Would you be willing to try another one of Lucy Rayner’s performances? SHAME on Audible !!! Good trilogy, Incredibly Substandard narration. C'mon, how about some Quality Control??? The narrator's voice was shrill and unpleasant. The American had a modern California accent and sounded spoiled. She should have had an educated Boston accent and sounded intelligent. The story line was okay, or I would have returned it by the end of the first chapter. 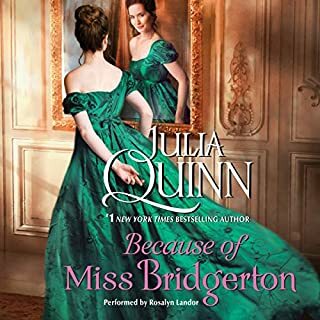 I loved the Bridgerton series by Julia Quinn and was looking forward to a new series to fall in love with. It almost feels like it was written by someone else. The hero sounds pompous and annoying with this narrator! Hard to like the man! The story is OK but again seems to deviate from the standards of the other series I have listened to. Who would you have cast as narrator instead of Lucy Rayner? but be warned of the narration. I read this years ago and loved the story, but everything that everyone says about the narrator is true, grating! 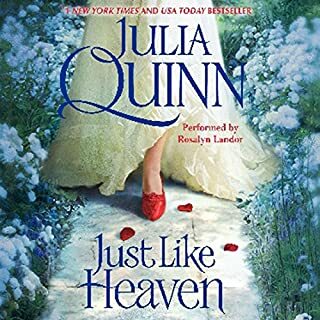 I love Julia Quinn, but this is not the best. First, Lucy Rayner narration is not the best whereas I'm use to having Rosalyn Landor doing the narration. Her narration can be irritating at times. Second, the story is not bad but not her best. Emma, the main female character, is way to stubborn and is always arguing. She lets her temper get in the way and she takes too many risks. Narration creates Caricatures rather than characters.